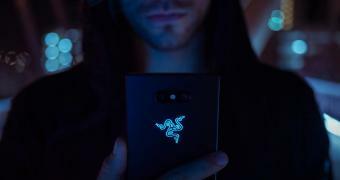 Razer hasn’t yet killed off the third generation of its gaming-oriented smartphone, according to a new report, despite the latest speculation in the mobile industry. Back in February, sources with knowledge of the matter said Razer laid off approximately 2 percent of its employees, with the phone unit believed to be the most impacted. This made many think that the Razer Phone 3 got the ax, especially because this niche market hasn’t really taken off. But on the other hand, as per Digitimes, not only that the third-generation Razer Phone is still alive and kicking, but other companies are also interested in launching similar models. Including Nintendo, that is, as the company reportedly wants to develop a smartphone that would feature Switch integration. The device would be specifically focused on gaming, the report adds, and would also compete against models from Vivo and Xiaomi.